Linux or Windows - do netbook buyers care? For better or worse, Linux has always had a reputation as being the geeks' OS - endlessly flexible if you're on one side of the divide, endlessly complicated on the other. With netbooks, this isn't the case. 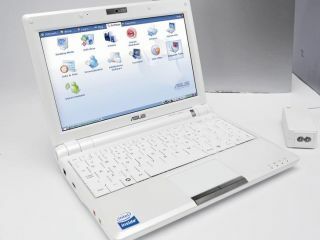 Neither the Windows nor Linux systems on the market are really being sold as computers as such, but a handy device that people buy for specific functions. They're email terminals. They're word processors. They're handy portals to the web. The operating system powering these applications is no more important to the end user than the one that makes their Xbox 360 work behind the scenes. Instead of flexibility, it's all about function. This is great news for Linux. Not only does the lack of licensing fees make it possible for manufacturers to deploy it far more cheaply than the Windows equivalent - it's a much tighter platform, requiring much less in the way of resources to get good performance. This makes it worth the manufacturers' while to not only release Linux versions of netbooks, but to make them the best. Having complete control over the hardware instantly gets rid of many of the common stumbling blocks new users face. Installing Linux hasn't been difficult for years, provided everything goes right. Issues like driver incompatibility and setting up the system in the first place (particularly if the problem prevents you going online for help) remain roadblocks, as does learning the lay of the land. Something called 'synaptic' or 'apt-get' is technobabble. 'Eee Download' is a feature. The difference is small to people who know their way round a PC, but that's only part of the market. Geeks can happily hack the system and simply use it as a cheap hunk of hardware. Complete newcomers will learn the way of the land just fine. The people in the middle are at something of a disadvantage. It can be hard to break out of the old expectations. If there's one downside to Linux's success on the ultra-portable market, it's that if it wins the battle against Windows, it's likely to lose its place in the sun. It'll be a background player, quietly doing the hard work for no real credit, and in a form that won't necessarily be obviously transferable if a user comfortable with the way their netbook does things sits down in front of a full-fat Linux system. Still, it wouldn't be much of a Trojan Horse if its box said 'Warning: Greeks Inside', would it? Every little helps, especially when establishing the importance of freedom on a new market.